If the current financial crisis and the Arab Spring have brought revolution onto the agenda again, today’s revolutionary moment also echoes that previous moment of widespread revolutionary change at the end of the 1980s: the end of the Cold War. During and soon after 1989, poetry had revolutionary resonance in both China and Eastern Europe, and writers in the West also responded by rethinking the relationship between poetry, politics, and history. But 1989 and its aftermath soon solidified a global capitalist system without conceivable alternatives, leading to frustration at the lack of revolutionary change and to a strong sense of historical repetition, if not entrapment. A turn to iteration is discernable in a diverse range of post–Cold War responses to this frustration of revolution and sense of historical repetition. Some of these responses imagine alternative non-dialectical oscillating temporalities and spatialities, as in Kamau Brathwaite’s notion of “tidalectics” and his turn at the end of 1980s to the continuous rewriting of his own work through performance and digital technologies. I take Brathwaite as my first example of how the poetics of iteration might constitute a poetics of revolution with a twist. The notion of versioning is often connected to Brathwaite’s dramatic reworking of earlier poems and cycles in books such as Middle Passages (1992) and Ancestors (2001) and to his development of Sycorax Video Style, in which Brathwaite uses computer-generated graphic elements as part of his composition and rewriting process. 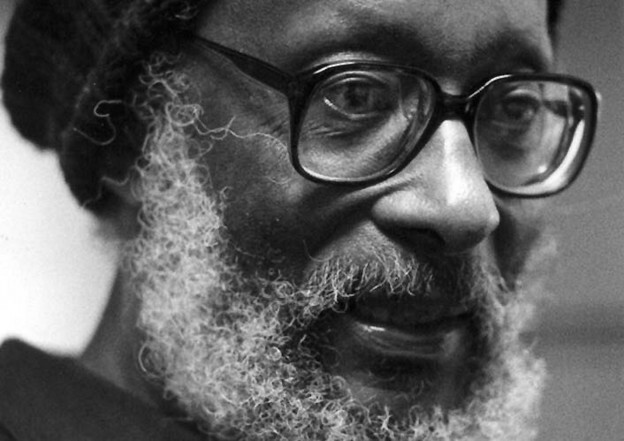 Yet many of Brathwaite’s rewritings, such as, for example, the Barabajan Poems, started life in oral performance, and, consequently, his poetics of versioning is inextricable from the many versions to be found in his recorded audio texts. For example, Brathwaite presents “The Twist” (a short poem from Brathwaite’s Arrivants trilogy, published in the late 1960s and early 1970s) in quite different versions in his 2004 Segue reading at the Bowery Poetry Club in New York and in his 1988 performance at the Pittsburgh International Poetry Forum. These two versions of “The Twist” illustrate how Brathwaite uses iteration to develop a poetics that is revolutionary in its double emphasis on both repetition and transformation. In these versions, Brathwaite adds new words and a drumming accompaniment. In each case, he also places the poem in a radically different context. Together the two recordings of “The Twist” illustrate how iteration stages the problem of finding a revolutionary postcolonial poetics that does not at the same time merely repeat and so reinforce the status quo. (This same problem makes the English language both a both a “model and a prison," as Brathwaite puts it in another performance.) Brathwaite’s iterations of “The Twist” implicate listener and the poet in a situation of voyeurism and exploitation. The attractiveness of the song as performed by Brathwaite belies its depiction of suffering. This parallels the way the attractiveness of the dancers hides their desperation. In the Segue performance for instance, “The Twist” provides an unsettling position for the listener, focusing attention on the cruel suffering underlying the smiling face of entertainment for the tourist and, by implication, for the armchair literary traveler to exotic Caribbean locations. Brathwaite’s iterations of “The Twist” move “tidalectically” between exploitation and emancipation. The poem’s affirmation of rhythm and music emerges out of suffering and servitude. This tension revolves around the poet’s act of performance. The shifts in meaning in Brathwaite’s performances of “The Twist” make the poem a figure for the complex twists and turns inherent to the politics and poetics of iteration.